I have been a longtime reader of Ta-Nehisi Coates’s blog over at The Atlantic. Although I occasionally think Coates’s blog is too narrow in scope, there is no doubt Coates is an unusually gifted writer. (Andrew Sullivan, who wrote alongside Coates at The Atlantic for awhile, was not only able to be an uncompromising advocate for marriage equality, but was also seemingly able to cover an unbelievably wide scope of topics. I found that having a sense of how Sullivan viewed the wider world actually strengthened his arguments for justice. Anyway, this is splitting hairs and is a topic for another day. I would feel amiss if I didn’t say anything, but this is really an argument about format and outcome, and not quality of writing.) Coates has a curious mind and without a doubt is someone that is always reaching for truth. Before I found myself reading a lot about the Civil War, Coates own research and exploration of that time period was extremely fascinating. I am happy to see that his new book, Between the World and Me, is getting rave reviews. 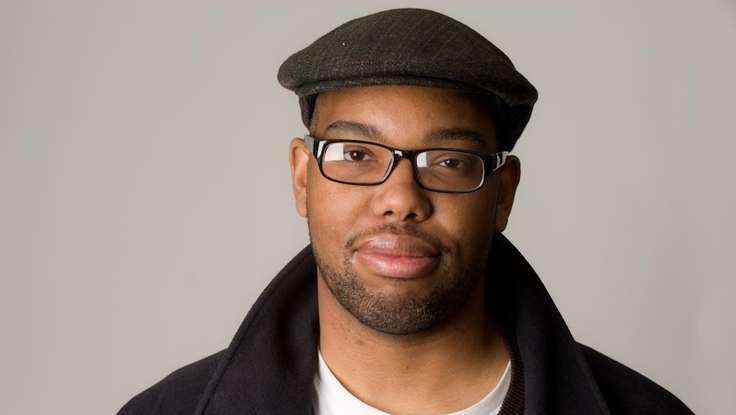 The above piece is not only about the book, but also a look at Coates as a man and writer in general. It is a well written and interesting piece worth your time. Also, if you are someone that reads several blogs a day, I would definitely add his blog to your list. I rarely ever reread my own blog, unless it is for the sake of editing or correcting a mistake. I have always tried to treat this blog like an outward looking journal. If I am excited by a certain idea or a piece of art, hopefully that excitement can translate into words and create something that will get the reader to take notice of the same thing. The idea is to get the reader to want to explore more things on their own, not to create a place that is a definitive take on anything. I’m not bound to write or cover anything, so what I write about are things that I am generally passionate about. This doesn’t negate other forms of writing, but only compliments them. Someone that is paid to understand the science behind global warming, for instance, will have insight and knowledge that I will never have. However, I might be able to get people interested to where they will find the more substantive article where they previously wouldn’t. Meanwhile, with more subjective matters like art and music, you should want both the writing of people that get why something is interesting because they are passionate about it and writing that takes a more cold clinical look at a thing’s importance in time and place. Between the two you can weigh out the subject for yourself. The only thing I will never write about is something in which I feel I have no grasp at all of the subject matter. I haven’t written about the crisis in Greece because I feel that I do not understand the complex financial systems in place in anyway. I can read other writers and get an idea of what is going on, but I feel that I would just be parroting them. This kind of writing is harmful because it can spread bad ideas without there even being any malicious intent. My friend, Chris Saunders, is helping me transfer this site and its content to a new location where I can have control over the format, etc. This process will take about another week, but shouldn’t be interfering with posting while we work on this, other than possibly cutting own on the amount of posts i can put up on the nights we are working on this. As far as reading this site, nothing will change, other than hopefully I will be able to make this site better and more comprehensive in the years to come. Although i don’t see them, many people have told me that they are seeing ads on this site. These are WordPress ads, ones that I do not see any money from. When I transfer this site I will start seeing money from ad revenue. In less than two years I have already put up close to 1,600 posts. As you can guess I put an extremely large amount of time into this venture. My goal has always to make money from this site as a way to supplement income from my music career. In the music/entertainment business you often do not see one large payday, but get your income from multiple revenue streams. As well as loving to write, this was a way in which I could generate another income stream while doing something creative that I loved to do. In my private life I avoid ads if possible. I don’t subscribe to cable, I don’t stream music with ads, and I rarely listen to the radio. Internet ads and print ads are the only ads that I encounter with any regularity, although of course I see billboards and other monstrosities when I am driving around town. I have conflicted feelings about making money off of advertisements. I don’t have a problem with advertisements in general. It is their placement and the fact that so many of them are purposely manipulative that I find degrading. If ads had their time and place it would be one thing. However, as everyone knows, advertising tries to reach people in ever increasing public spaces and intellectual realms. One should read Naomi Klein’s No Logo. A few years ago I was in La Rochelle, France. I was walking around the town and I was amazed at how aesthetically pleasing it was. I suddenly realized that there were no ads or billboards, only hand painted store signs. Once you got further out into the outer rim of the town one would start seeing more traditional advertising, but not in the center of town. This seems sensible to me, to have places, whether in the real world or intellectual space, where ads are allowed or not allowed. However, again, advertising’s very nature is to try and nudge further and further into our public and private spaces. At the same time I am under no illusion that until you reach a certain threshold of people willing to pay for content, which even large publications have struggled with at times, advertising is the way to get paid for working on a blog. i do believe that people should be paid for their work. One must earn a living, and in these times it is no small feat to do so. As someone that has been highly critical of large corporations and the role they play in American life, I ask myself if i can remain neutral, while at the same time making a small amount of money off of that very system. it is fair for any of you to question that as well. At the end of the day though, I must only answer to myself. I simply want to make those of you that keep coming back here aware that I am aware of all of the ethical questions concerning these matters. I am about a week or so away of making these changes to the site, at least before you notice them. Although work has begun, none of the changes will be made public until that work is done. Perhaps then I will have a better idea of what I am dealing with. I would have made these changes sooner, but my schedule has prevented me from doing this. I was poised to make these changes a couple months ago, but I ended up recording a solo EP in my spare time. Anyway, it is long overdue. That’s where I’m at. If you have any thoughts or questions in the mean time, feel free to send me your thoughts. Vanity Fair recently put out a long form article on True Detective writer and creator Nic Pizzolatto. If you are interested in the show the article deals with his writing process and the background of how the show to be. I found it interesting that unlike a lot of TV series there is no writers room, that he doesn’t seem to like writing by consensus, and that he wrote the entire first season by himself. I was also happy to see that he is influenced by David Milch, whose series Deadwood, in my opinion, is the greatest TV series ever.